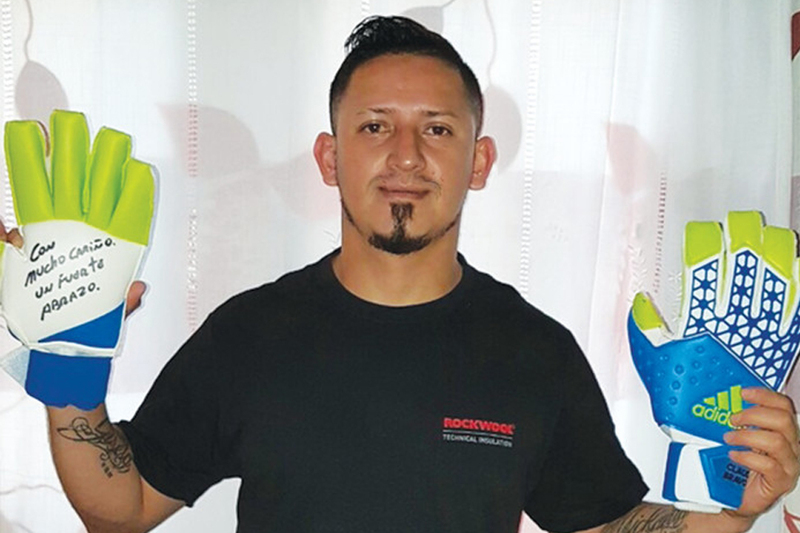 Marcos was the winner of the charity sweepstake of Claudio Bravo’s gloves supporting the Vall d'Hebron Hospital, which is carrying out researches focused on women, fetuses, children and adolescents, with special emphasis on breast cancer research and gynecological tumors. On June 3rd, various joint sweepstakes began in the framework of the GBGM, the first charity festival organized by two famous spanish magazines: Dapper (Grupo Planeta) and Nautic Press (Men-Car Group). At the Royal Palace of Pedralbes, the sweepstake was presented by the multifaceted Àngel Llàcer, and was accompanied by two more, one starring Leo Messi and another with Tommy Robredo. What moved you to enter this charity sweepstake? "I like the playstyle of Claudio Bravo, I’ve followed him for years, so when a friend told me about this sweepstake, I didn’t hesitate. I was excited to get Bravo’s gloves, but then, I also thought I was helping the Vall d'Hebron Hospital." What did you think when you discovered that you had become the winner? "At first I couldn’t believe it, but I was a little more relaxed when I received a mail from BidAway confirming that I was the winner. I received a box with the signed gloves and a congratulatory letter for being the winner, I couldn’t be happier."